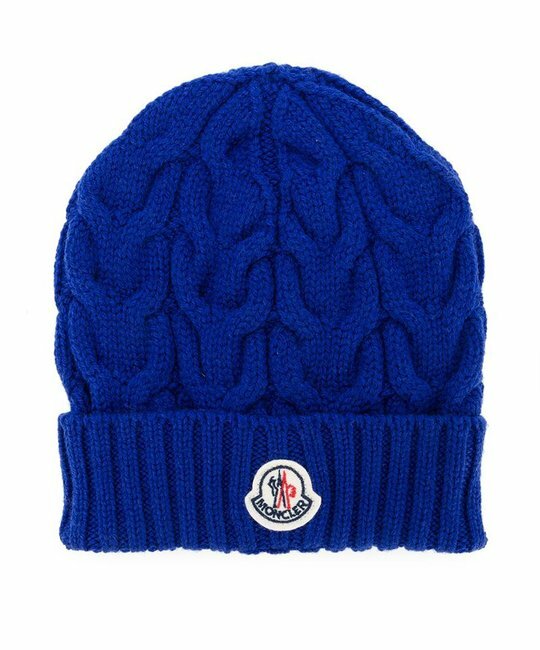 Moncler blue cable knit hat with logo detailing. 100% Virgin Wool. Made in Italy.